A line is a symbol that is used to simultaneously connect and separate. A dashed line is used to show an intermediate, transient state. 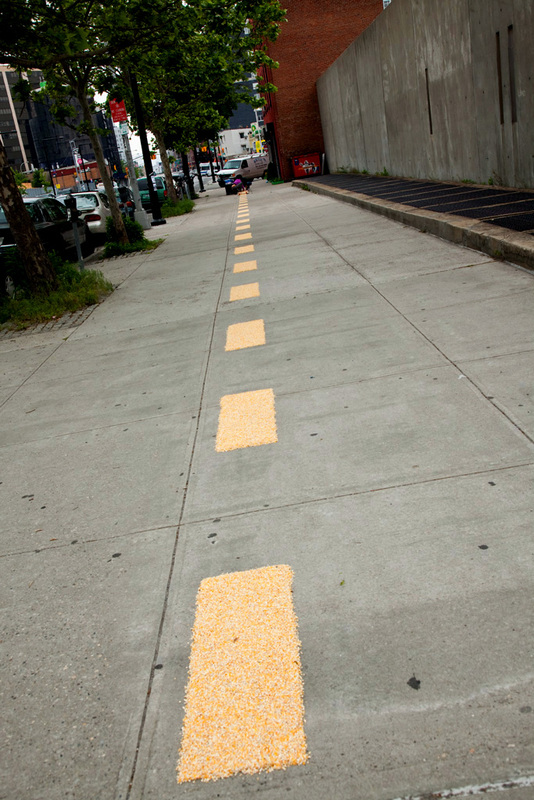 For Between, I stenciled a dashed line on the ground, made only of cracked corn. 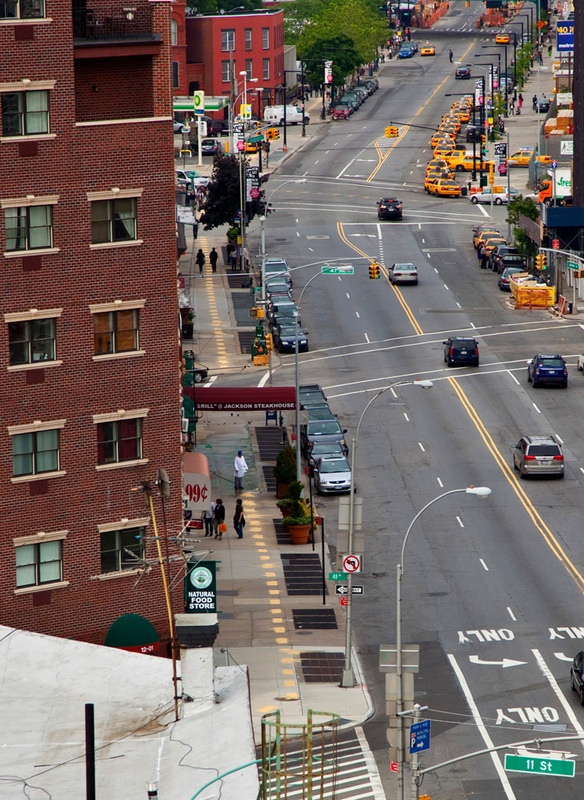 The line continued along the sidewalk for approximately 1/3 miles, between the gallery and PS1. 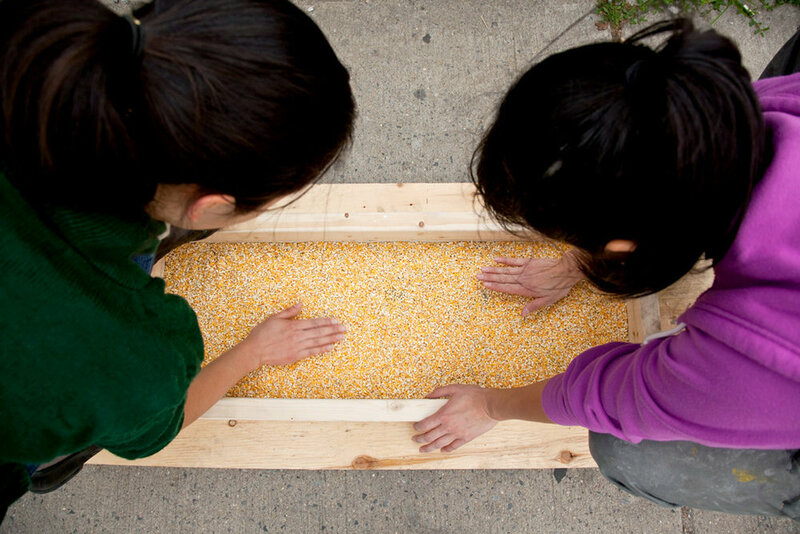 The installation only lasted 6 hours; the dry corn that was not scattered or eaten was recollected and recycled. 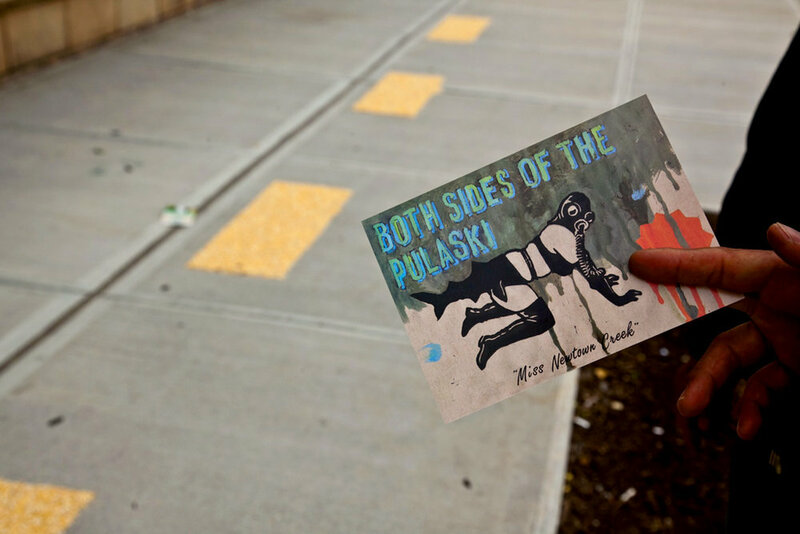 This site-specific piece was part of “Both Sides of the Pulaski,” an exhibition that included artists working in Long Island City and Greenpoint.